We are making hard effort to provide a High-Quality range of Firelit Sanitary Napkin Destroyer but Minimum Cost to respected customers. We are having an exceptional team of engineers. Quality conformed on various parameters. 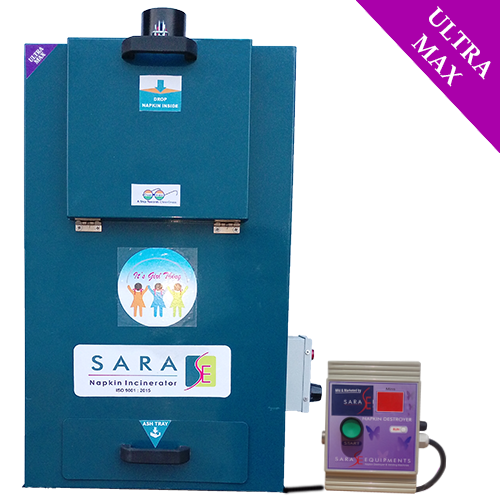 Sara Equipments - Our firm has acquired a distinguished market position in manufacturing, supplying and wholesaling a broad array of Firelit Sanitary Napkin Disposal Machine which contains High Quality but Cheap Cost. 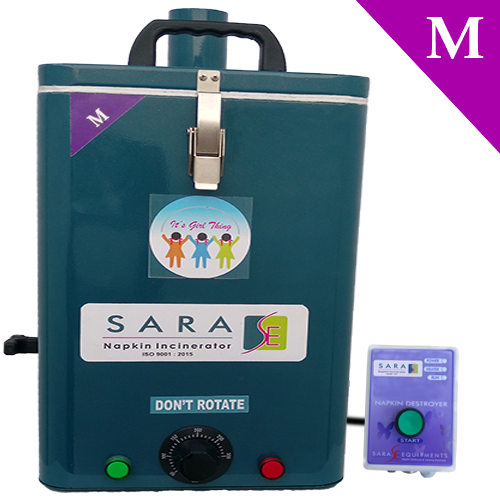 Smallest in size, the offered destroyer is used for undertaking the burning of sanitary napkins in an efficient manner. Being compact in size, these incinerators can be easily placed on the floor, in an open area or can be mounted on the wall of washrooms. Fabricated under the guidance of UNICEF our offered machines ensure to function properly. Our discipline expertise has enabled us to offer a highest range of Eco Friendly Sanitary Napkin Destroyer with Best Quality and Cheapest Cost in the market. The Napkin Incinerators produced by us help in fulfilling the safe burning requirements. These Napkin incinerators are manufactured in obedience with the guidelines provided by the specific pollution control boards. Our firm has acquired a distinguished market position in manufacturing, supplying and wholesaling a broad array of Firelit Sanitary Napkin Destroyer which contains High Quality but Cheap Cost. Smallest in size, the offered destroyer is used for undertaking the burning of sanitary napkins in an efficient manner. Being compact in size, these incinerators can be easily placed on the floor, in an open area or can be mounted on the wall of washrooms. Fabricated under the guidance of UNICEF our offered machines ensure to function properly. Note: Above mentioned price is the starting price of the product. Prices may varies according to the size and structure. 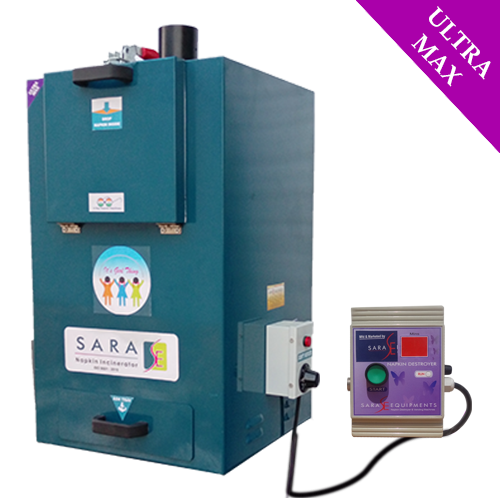 Sara equipments - Our firm has acquired a distinguished market position in manufacturing, supplying and wholesaling a broad array of Firelit Sanitary Napkin Incinerator which contains High Quality but Cheap Cost. Smallest in size, the offered destroyer is used for undertaking the burning of sanitary napkins in an efficient manner. Being compact in size, these incinerators can be easily placed on floor, in an open area or can be mounted on the wall of washrooms. Fabricated under the guidance of UNICEF our offered machines ensure to function properly. Above mentioned price is the starting price of the product. price may vary according to the size and structure. Looking for “Firelit Sanitary Napkin Destroyer”?